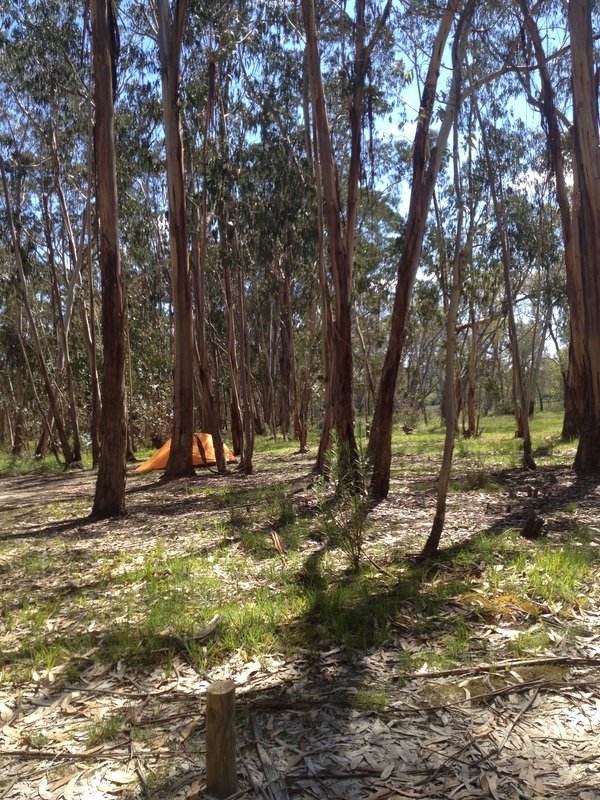 Kuitpo (pronounced Ky-po) Forest is probably the closest camping spot to Adelaide that we know of. Located in the South Mount Lofty Ranges, around 45mins from Adelaide, not far from the small town of Meadows. From Adelaide you can take the Main South Road, then turn off to Clarendon and Meadows, or take the South Eastern Freeway to Hahndorf, then turn off to Echunga and Meadows. Camping is only allowed April – November. There are 2 areas to camp within the Forest: Chookarloo and Rocky Creek. This review is for Chookarloo only. 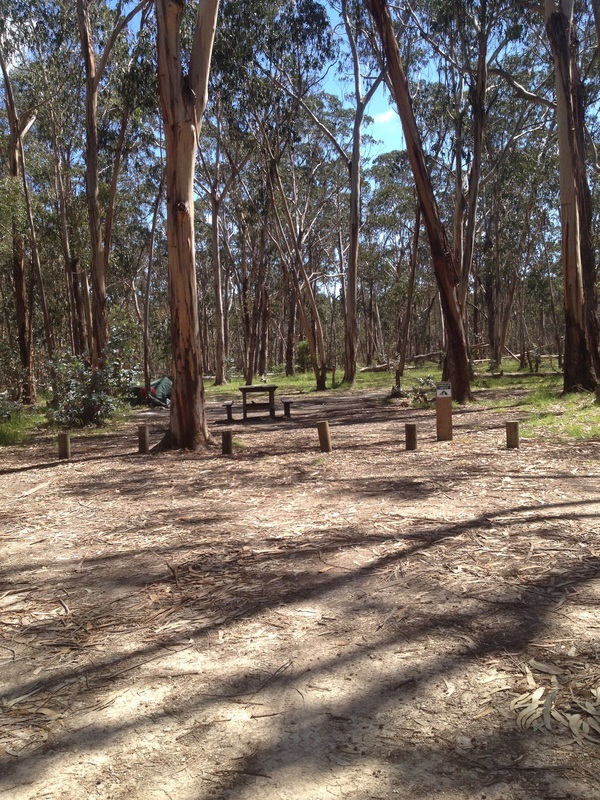 Set amongst the gum trees and pines, this camping area is large and with designated sites, clearly marked. You will need to get a permit to camp from the Kuitpo Forest Information Centre – open : 9.00am - 11.00am (7 days). The sites vary in size and some are more private than others. This campsite can get very busy due to its location close to Adelaide, and works on a first in, first served basis. Lots of trees, naturally, so shade is excellent, and they do provide some screening amongst some sites. Chookarloo is next to a country road, that does seem to get a lot of traffic, therefore the noise of the road is always with you. And some campsites are on the road that goes within the campground, so you could get quite a bit of passing traffic within the campground itself (separate to the noise from the main road). To obtain information on the other places to camp within Kuitpo, including camp huts visit here. No powered sites, but caravans and camper trailers will have no trouble with finding a suitable, level spot. Designated campsite with picnic tables. Most campsites have a picnic benches and a fire pit. You can only use campfires in the designated pits, and collecting firewood for your campfire will never be a problem. There is so much wood lying around, and it is legal to collect what is on the ground (no cutting down of trees). Campfires are only allowed May – October. Gas BBQs are only allowed April – November. There is only 1 pit toilet for the whole area, and it was pretty bad. I wouldn’t recommend using it, and it is very inadequate for the volume of people using this park, as there is also area for people just arriving for a picnic; everyone has to use that 1 toilet. This sad situation for toileting needs to be addressed. A chemical toilet would be highly recommended if you don't have a strong stomach. No water available except for a water tank (which I didn’t see), but I would strongly advise bringing all your own water. Dogs allowed, on a leash at all times. There are a number of activities to do in this area. Mountain bike riding for the whole family is very popular, with shared trails for cyclists, walkers and horse riders. Horse riding is also a popular activity (and permits required). Children will like all the easy trails for bike riding, so would definitely encourage you to bring the bikes! There are a number of walks in this area, including the Heysen Trail. A little creek runs through part of the forest, and plenty of tadpoles, and also a big red bellied snake!! Picnic area (seen pictured) is a big grassed area, close to the creek. Fire pits are also present in this area. If you visit when its not busy, I think that is when its at its best.